The reason? Predictably, Big Government. "It's becoming a very challenging industry to become a very successful average restaurateur," continued Lagasse. "I can't charge $300 a person in my restaurant or I would not be in business. Am I using any different ingredients? Not really. Am I using any caliber of service staff? I don't think so. I think our service is as good or better than most places." "And then you add all the Obama nonsense to what it's become in the last several years. I don't have anything against Mr. Obama. I'm just saying the way that, you know... the government should stay out of things. [...] Pretty soon, they're going to wipe a lot of the middle restaurateurs and restaurant cooks. [...] If it continues, then watch: you're going to have high-end, and you're going to have fast food, and you're going to have chain restaurants." Lagasse went on to lament that the areas in which he operates restaurants — including New Orleans, Las Vegas, and Bethlehem, Pennsylvania — have been hit particularly hard by the problems in the economy. "Somebody having a $12.99 meatball and pasta dish at my restaurant means a lot to them," he said. "That's like a special occasion." 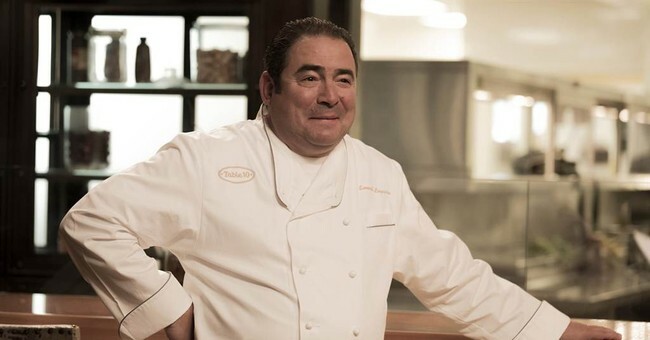 At the event, which was promoting his upcoming reality series “On the Menu,” Lagasse explained that despite really listening to people and being very connected to America, he doesn’t have the solution. “All I can tell you is the balance of the economic cycle is out of whack,” he said.